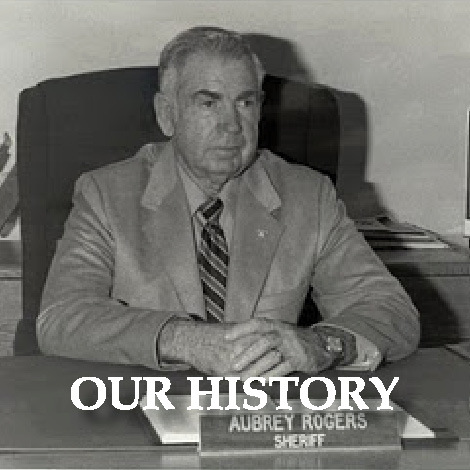 Starting in 1960, twice a year, the Sheriff’s Office sponsored the “Junior Deputy League Camp” which spanned five weekend stays. On average, one hundred children enjoyed this experience each camp night. On a typical camp the children would pack a change of clothing and three blankets, meet the bus at noon on Saturday and travel the 20 miles on US-41 to the camp located on a remote section of land. The camp bus would stop just before it crossed a bridge spanning a canal. The children would get off the bus and reload after it crossed the rickety handmade bridge. Then it was off down the often muddy road towards camp. Once at the camp site, the tents were cleaned and prepared for the night. Many activities were planned for the next twenty-four hours. There were programs geared toward understanding of the work of law enforcement officers, activities to educate them on a variety of topics, and just plain fun. A highly polished cypress pole to try to “shimmy”, and foot races were a few of the challenges which brought about competition and teamwork. Educational material consisted of presentations, the most popular of which was the introduction of the camp mascot, “Lamb”, the Sheriff’s Office bloodhound. The basics of first aid, with the emphasis on the use of the snake bit kit, were also observed closely by the campers. The group was then divided into two smaller groups. One group went for an adventurous ride on swamp buggies through the Everglades. These lengthy rides sometimes required the boys to get out and push the buggy and trailer through the muck and mire. The other group went to the riffle range. At the range they were provided instruction on the safe and proper use of a .22 caliber rifle before they shot the weapon. Once these activities were completed, the groups switched. By the time nightfall was approaching the kids were ready to eat. Dinner, which consisted of hamburgers, and potato salad, was being prepared on a donated 1/2 inch steel plate griddle, fired by burners confiscated from illegal moonshine stills. Following dinner, it was time to clean up for 16mm movies that where projected on a large sheet. Then, it was lights out at 8:00 PM. Sunday morning came early as a hearty and hot breakfast was served. Before the morning was over, a church service was held and personal belongings were collected to prepare for the short ride home on the special Sheriff’s Office Junior Deputy Bus. Copyright © 2019 Collier County Junior Deputies League. All Rights Reserved.